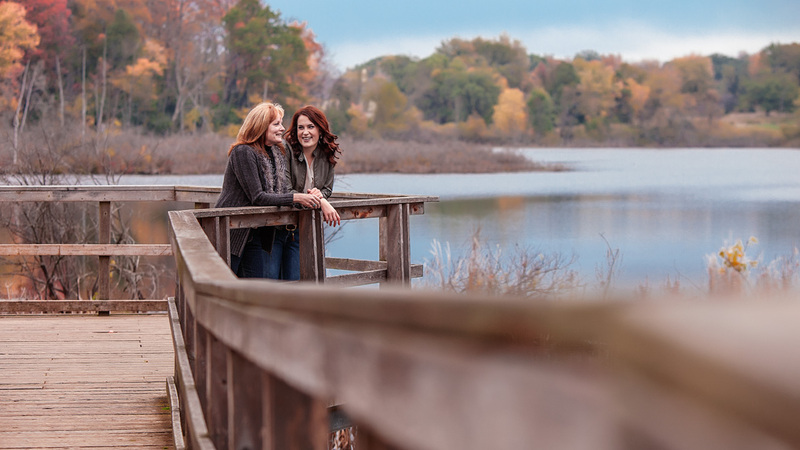 Last fall, I had the opportunity to capture a wonderful pair of ladies for their mother-daughter portraits. Although it’s the middle of summer of this year, I recently sat down with them and it turned my memory back to their session. Fun, spontaneous and full of laughter, they really made the session an easy-going one. The experience drove home (to me, at least) just how important it is to make the time to have these kinds of sessions. If there was one thing I could hang on my walls to make my house a home, it would be pictures of my family all together and enjoying life. Of course, any time is a good time for a little fun bonding with Mom. Besides her birthday and Mother’s Day, why not a random Sunday? Get away from the things you both have to do and just head out for a day of whatever-comes-to-mind. Even though it was a little rainy that day, Jennica and her mother had an absolute blast goofing around outside. It was one joke after another with those two. If you or someone you know is interested in having your family portraits done, call me today at 519-619-3237 or email me at jayterry@jaytphoto.ca for more information. This entry was posted in Families and Kids and tagged Activities, Daughters, Fall Portrait, Family Day, Family Portraits in London Ontario, Jay Terry Photography, Mother-Daughter Portraits, Mothers, Together, fun, photos.